As a harvest diver, the health and financial benefits of using nitrox are many. No more transporting heavy cylinders between filling stations and your boat, or getting out to your dive site and realizing you have the wrong O2 mixture for your diving depth. Incorporating a membrane system with your existing high-pressure compressor ensures an endless supply of nitrox that can be customized to your specific profile. 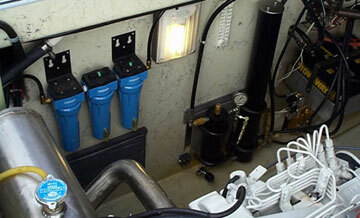 You can place compressor equipment below deck or in an engine room to keep your deck clear. 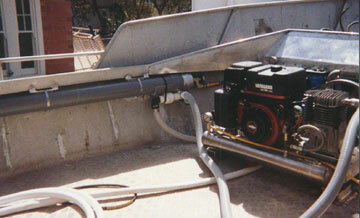 Our systems can handle these hot areas and produce a constant flow of nitrox up to EANx40. Below are typical harvest diver space-conscious installations. Low pressure to high pressure membrane system in engine room of urchin harvest boat. 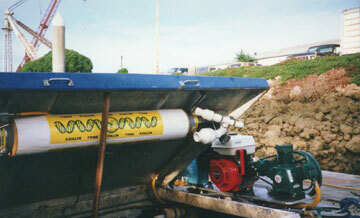 Small low pressure to high pressure system on a 26' Radon work boat. Setting up low pressure to low pressure system on Australian abalone boat.